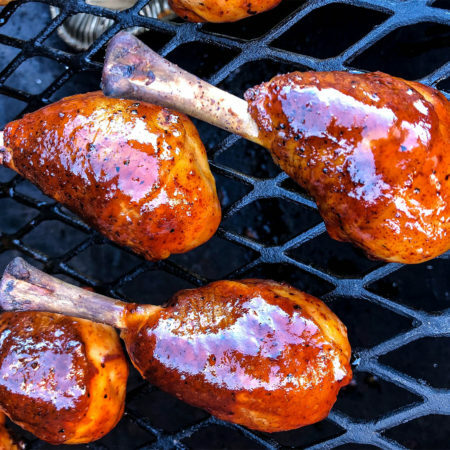 Together Doug Scheiding and his wife, Jennifer Talley, make up the Rogue BBQ Cookers and cook exclusively on Traeger Grills. Doug is also known for tweaking recipes, which is where the team name was derived, due to his technical background and constant desire to improve. 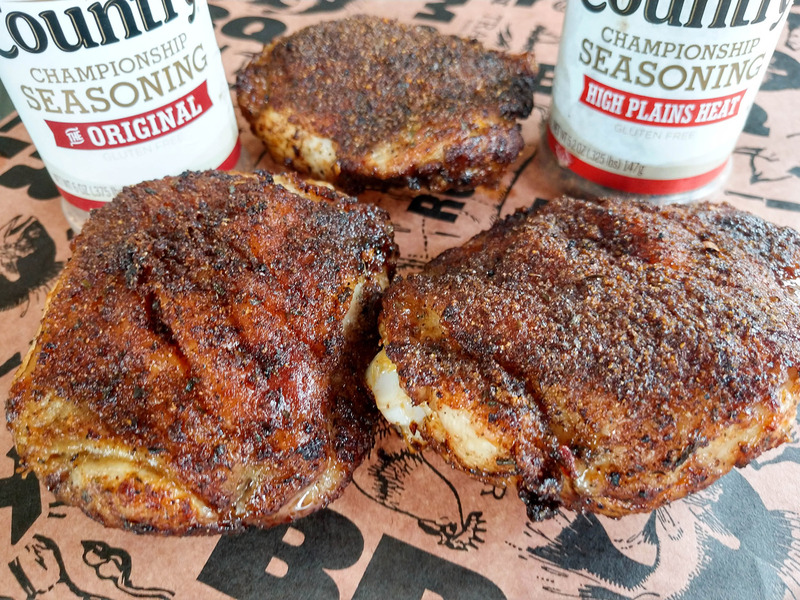 Head Country Championship Seasoning and The Original Bar-B-Q Sauce has been a part of his arsenal since day 1 of his competitive smoking journey in 2009. Rogue has been lucky enough to cook at many of the larger BBQ cook offs across the country winning several awards. 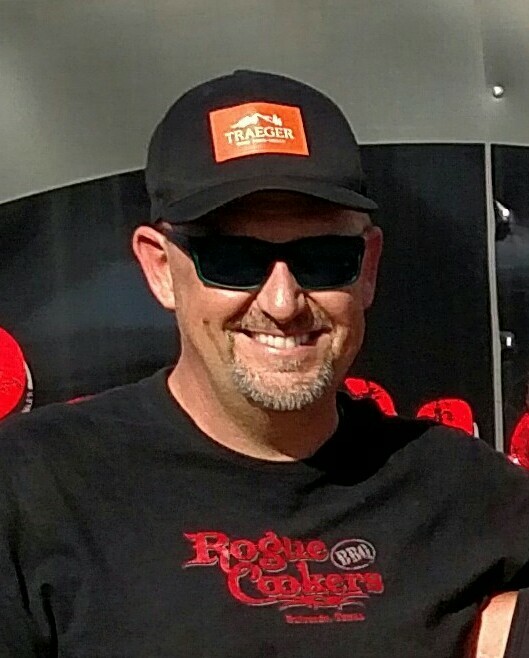 Doug is also a Traeger Pro Team Member/Instructor and the TX Correspondent to The BBQ Central Show. 1. Pull a thigh out of the package and turn over to the bottom. Use your kitchen shears to cut into a rectangle to remove excess skin. Cut off the round part of the thigh bone. Flip over and cut off any remaining meat that is exposed. Repeat. 2. Get a large cookie sheet out and place 4-5 thighs on the sheet. 3. Coat chicken with Canola Oil front and back. 4. 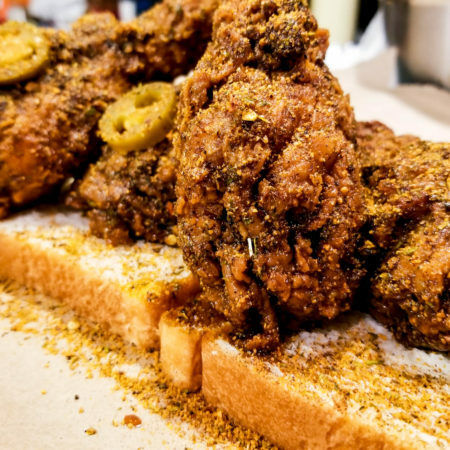 Put a layer of Head Country Championship Seasoning, High Plains Heat on and then apply layer of The Original as the accent seasoning. Flip and repeat. 5. To make the skin crispier, refrigerate to air dry for 2-4 hours. If you want to hold the skin down for better presentation use steel turkey lacer pins, 2 per thigh parallel to bone. 6. 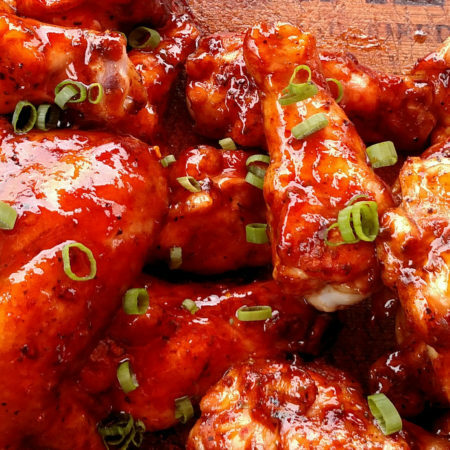 Place seasoned thighs into the air fryer (no flour needed), if they touch that is fine. Cook in the Air Fryer at 380°F for 16 minutes. 7. Test chicken temperature with instaread thermometer to make sure 170°F+. 8. Remove from air fryer and put on a plate and let cool for 3-5 minutes before serving..